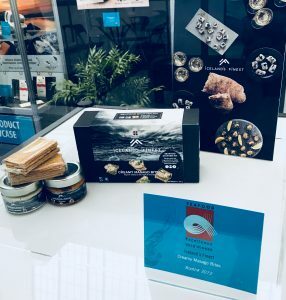 The seafood starter kit, Creamy Masago bites, from the Icelandic food producer ORA, was awarded as the best retail product of the year at the Boston Seafood Show 2018 in. 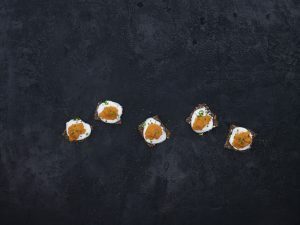 The seafood starter kit, “Creamy Masago Bites”, consists of three products; Masago, made from Icelandic capelin roes, salmon mousse from Icelandic farmed salmon and Rye crackers. The concept is simple, inside the kit you have 3 key ingredients, step by step recipe and instructions on the box. In 10 minutes you have prepared a delicious and tasty seafood starter based on Icelandic raw material. © 2018 Iceland's Finest. All rights reserved.